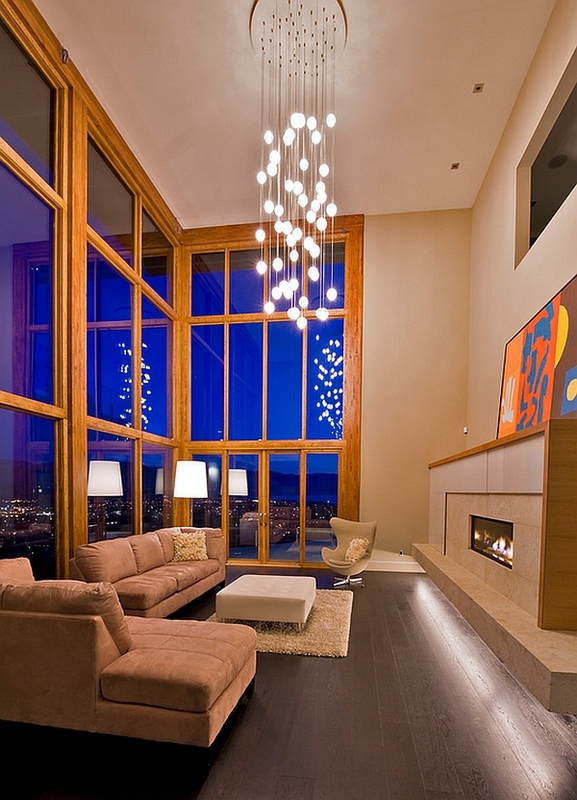 There is absolutely no denying the fact that lighting plays the most important role in defining the appeal of any interior. 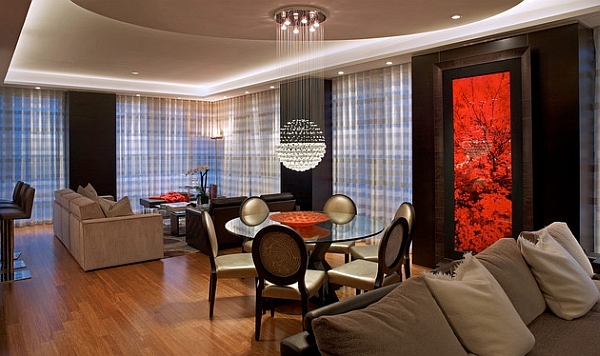 While great lighting can elevate the ambiance of a space and turn even a mediocre room into a captivating setting, poor lighting technique can bring a dreary dullness to even the most beautifully decorated home. 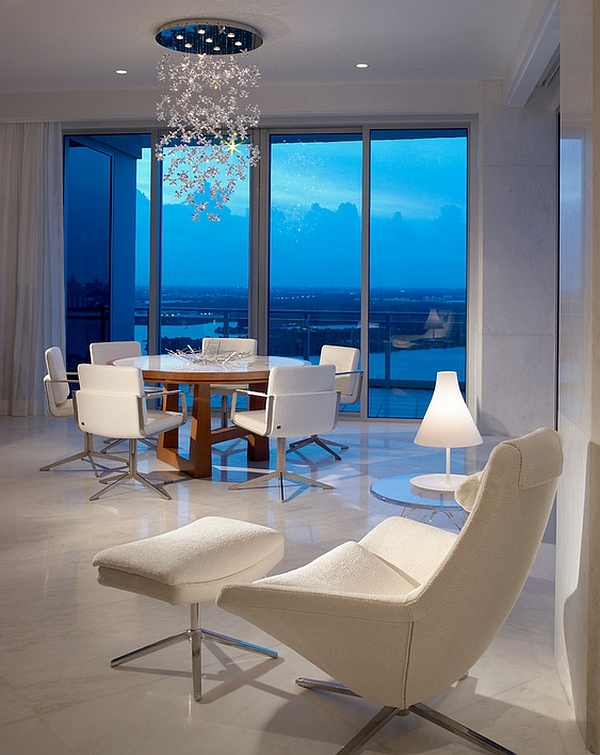 While recessed lighting, pendant lights, and table lamps have their own unique charm, nothing matches the visual impact and the grandeur of a sparkling chandelier. 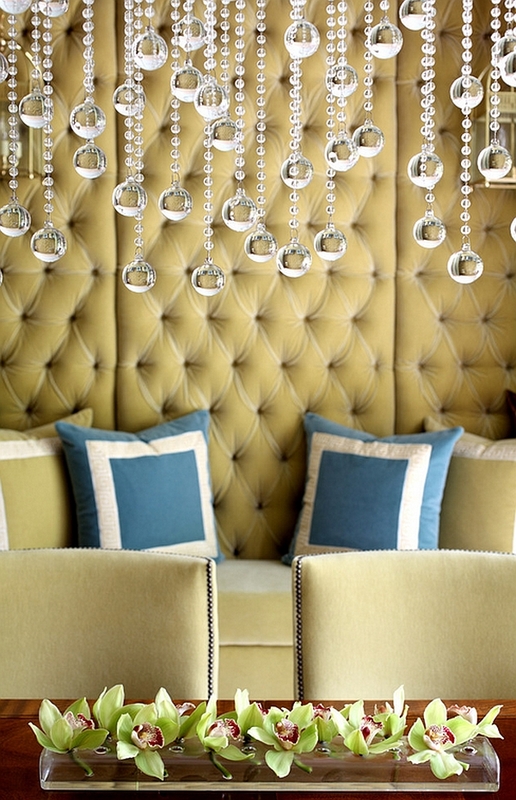 When it comes to the world of illumination, chandeliers are undeniably royalty! And leading this majestic pack is the gorgeous cascading chandelier. 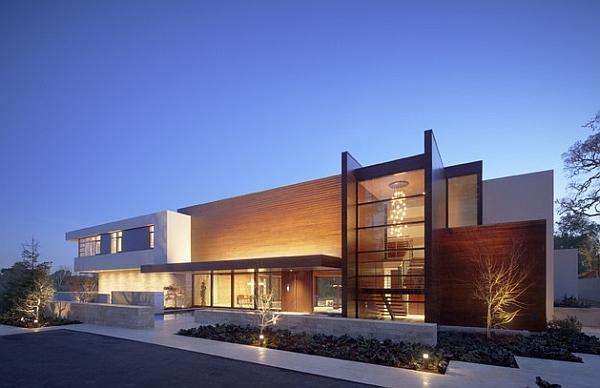 Exquisite chandelier is delicate, yet imposing! The popular trend in the last few years has been to use a single large pendant light or even a series of pendant lights above the dining table. 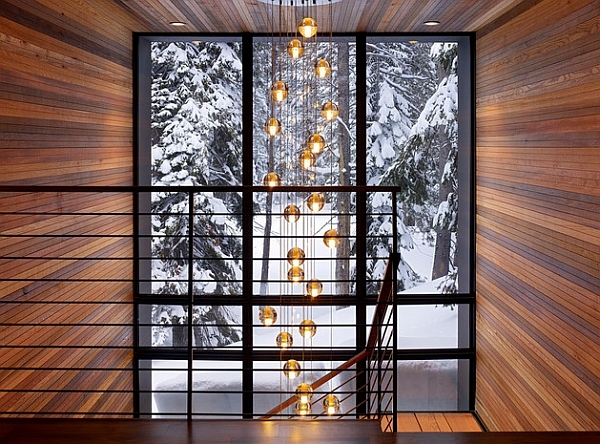 But a cascading chandelier is a far more enchanting option that also offers greater illumination. 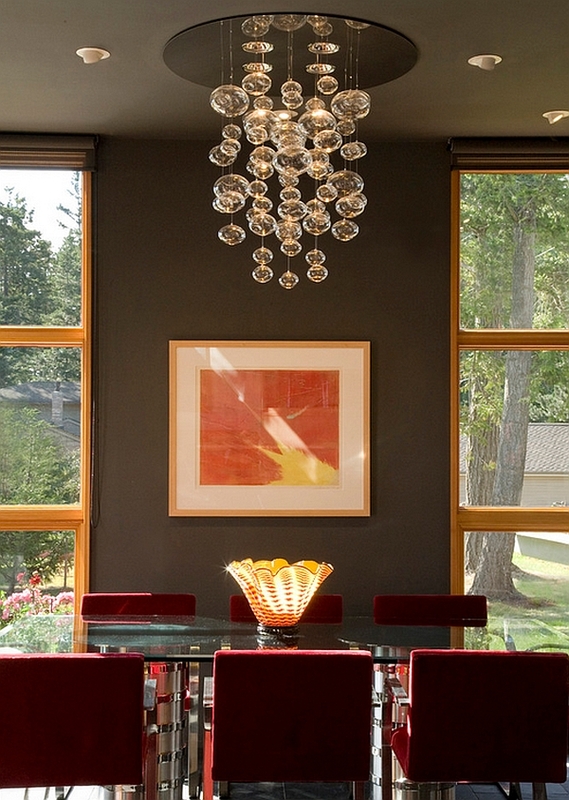 While many homeowners might believe that a large cascading chandelier might be a bit overwhelming for the small dining area, you will be surprised at how beautiful it looks when done right. 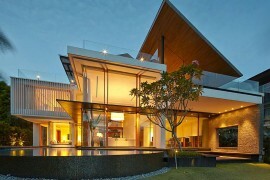 With open floor plans taking over most homes, it makes perfect sense in the greater scheme of things. 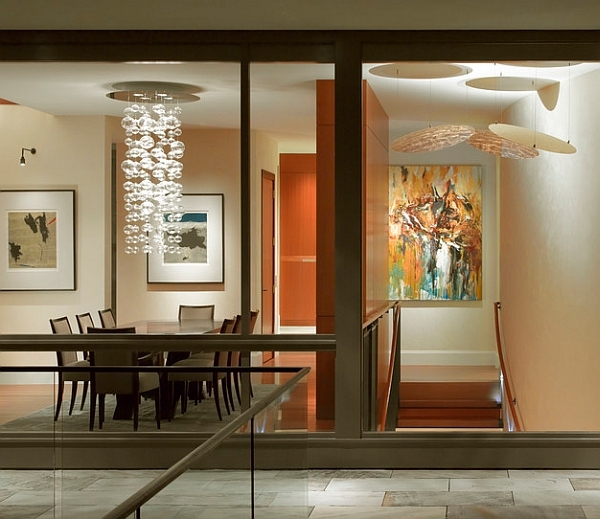 This also allows you to define and anchor the dining area spatially without the use of any walls or area rugs. 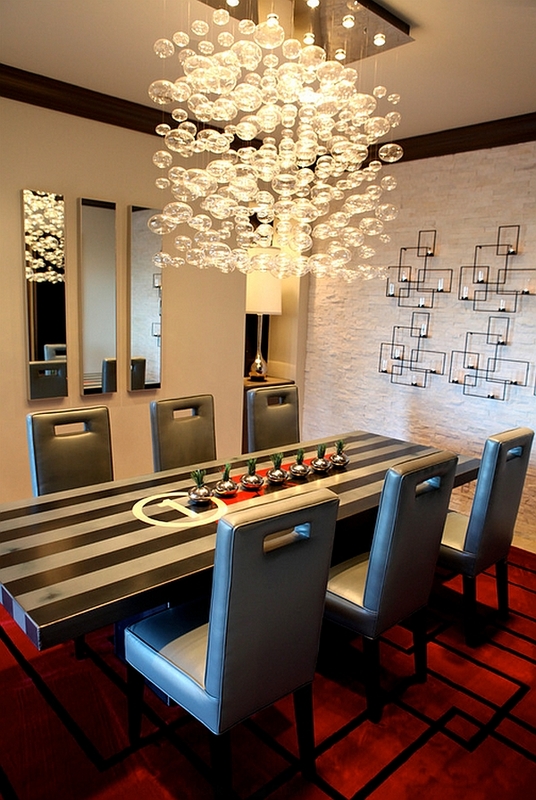 LED pendants of the chandelier steal the show in this dining room! 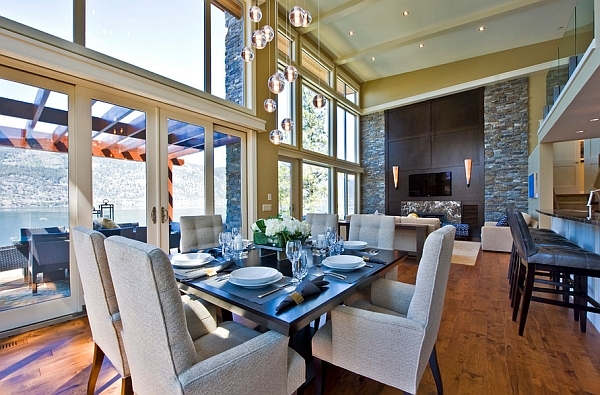 Another great advantage of the cascading chandelier above the dining table is the instant focal point that it creates. 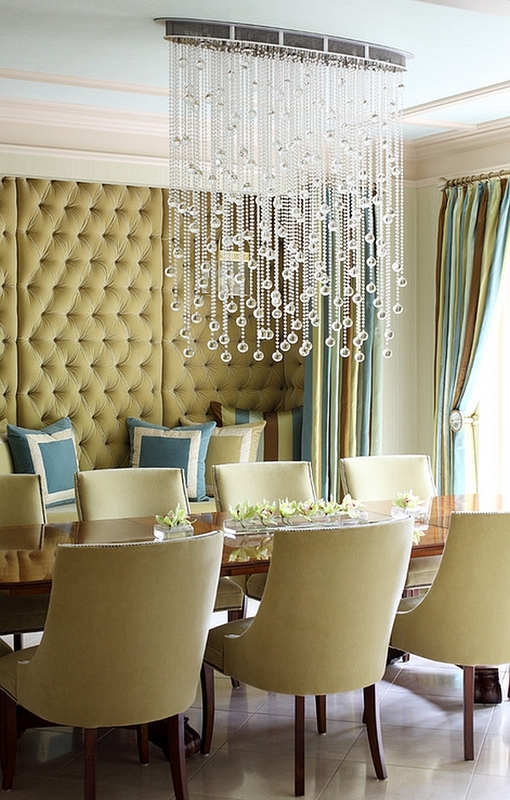 When it comes to choosing the right chandelier, size is the key. 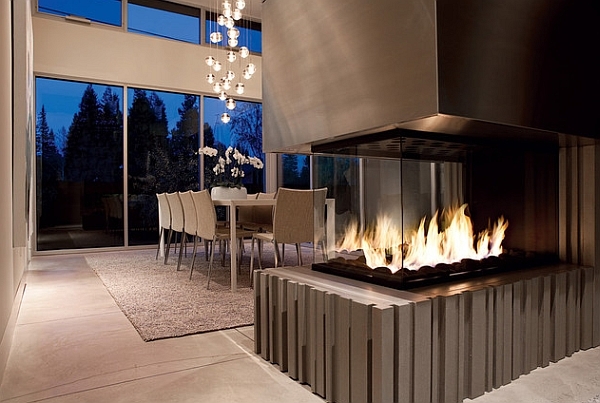 Pick a piece that is proportional to the remainder of the room. Also consider the visual weight of the chandelier and remember that the hefty looking chandeliers look good in spacious, airy rooms, while the light and breezy incarnations are at home in smaller, more compact spaces. A dreamy setting for a magical evening! PLC Lighting Bubbles Chandelier vanishes into the backdrop during daytime! Cascading chandeliers vary from delicate pieces that use simple crystal strands to complex creations that standout as astounding sculptural additions. 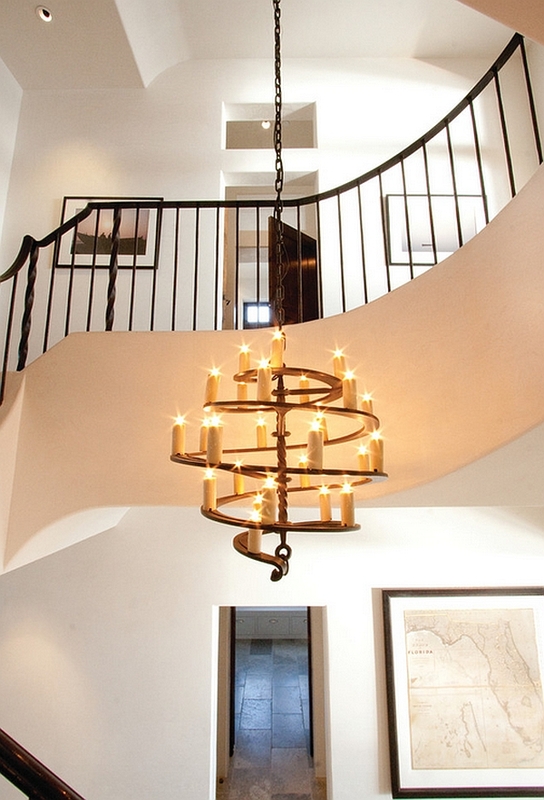 One of the best places to incorporate an imposing chandelier is the space next to the stairs. 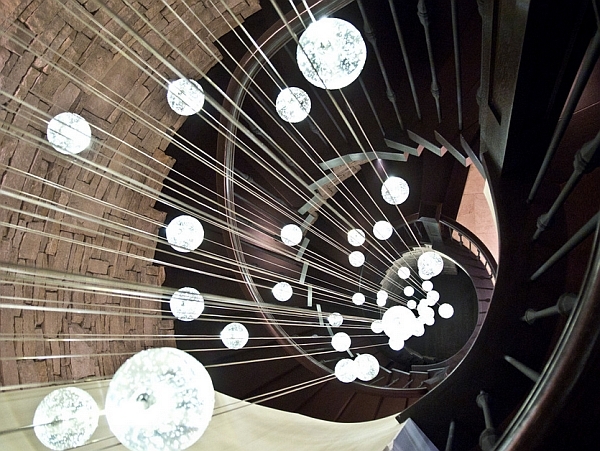 If you happen to have multi-story staircase, then a cool cascading chandelier that transcends these different levels with sparkling glee is the perfect decoration to enliven the area. 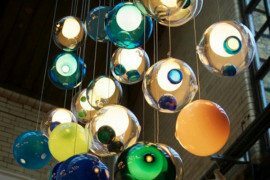 Stylish contemporary chandeliers come with 18 to 36 such single lights that are suspended at different levels and combine to make up one amazing decor addition. 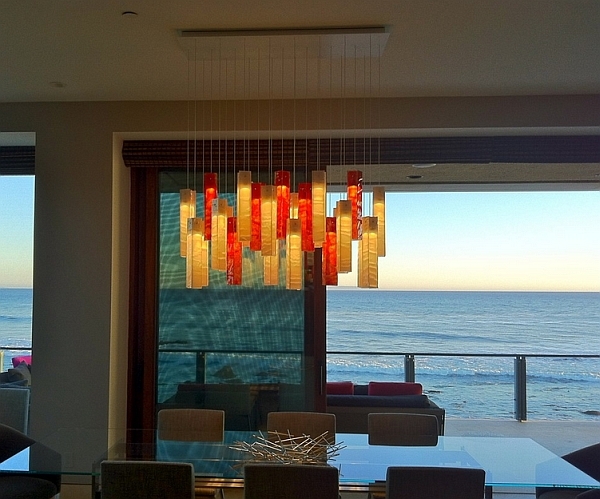 A chandelier inspired by the form of melodious wind chimes! 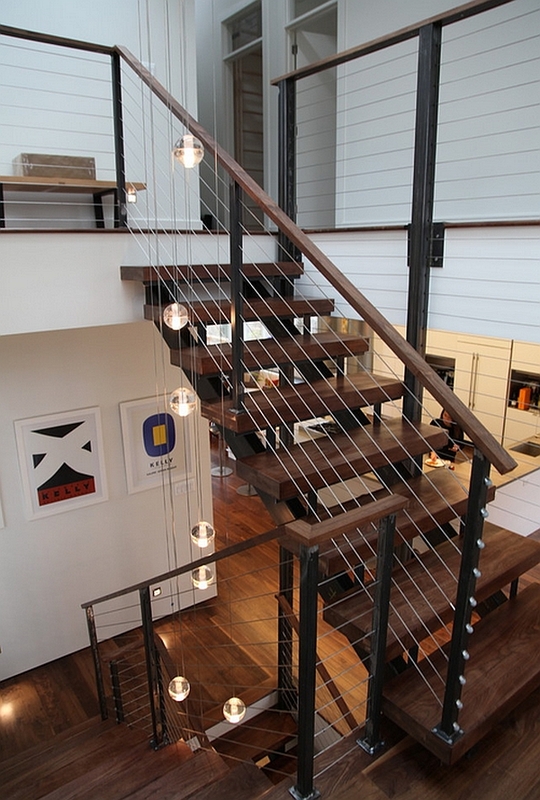 Try and complement the overall architectural makeup of the stairs with that of the lighting fixture. 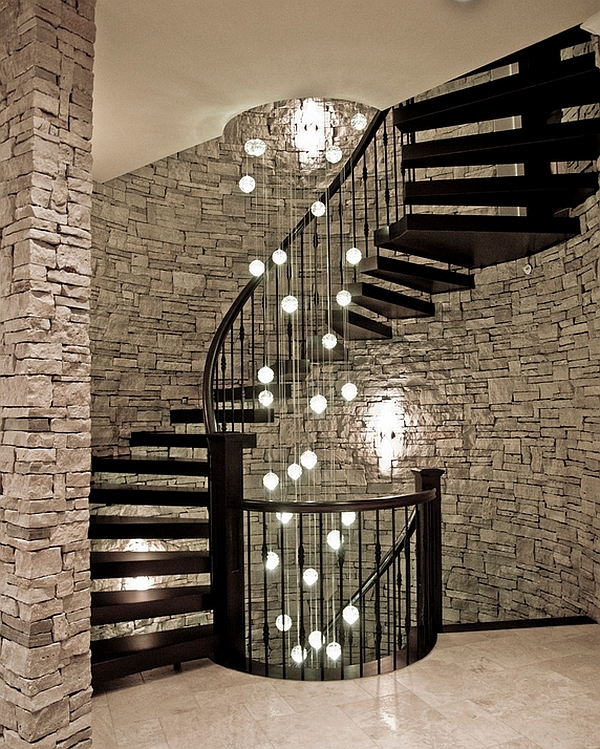 Those with a sleek, spiral staircase can bring home a cascading chandelier that has intricate curves and maybe even a corkscrew design. 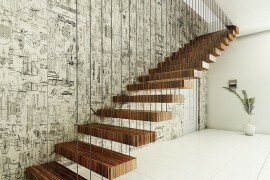 In case of a more traditional stairs, uncomplicated and crisp straight lines get the job done. 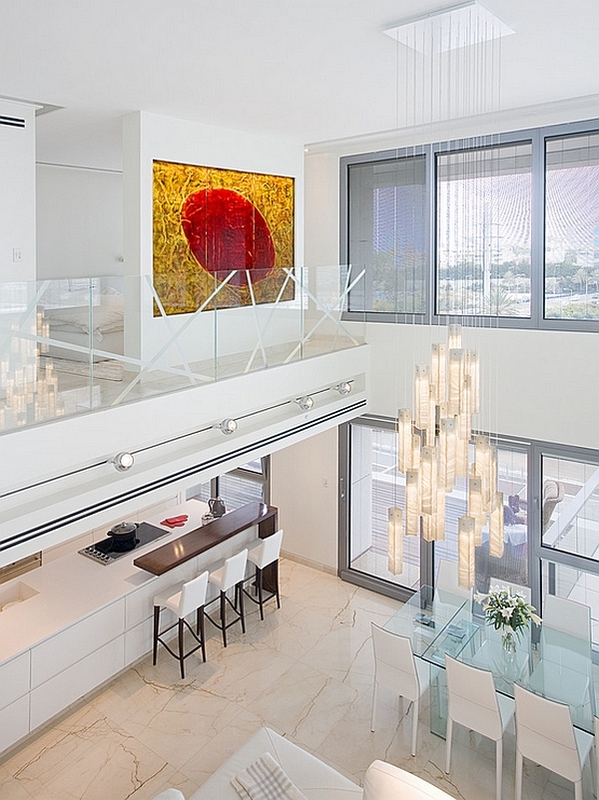 Choose wisely as that this one chandelier will completely alter the dynamic of the entrance and the landing areas of the staircase on every level. 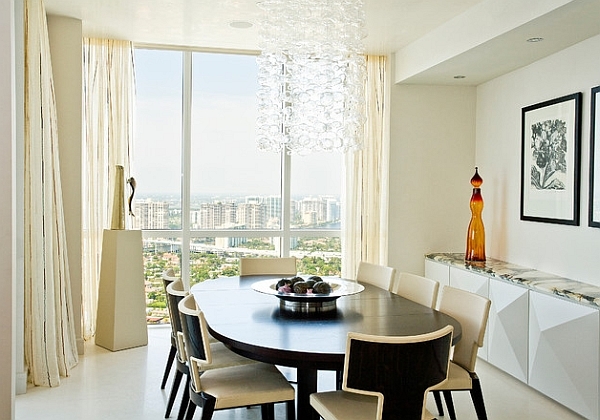 Cascading chandeliers need not be relegated to expansive dining room and elaborate stairways alone. 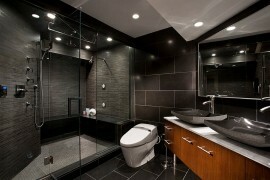 They are a simple, yet effective way of adding polished elegance to pretty much any room without going overboard. 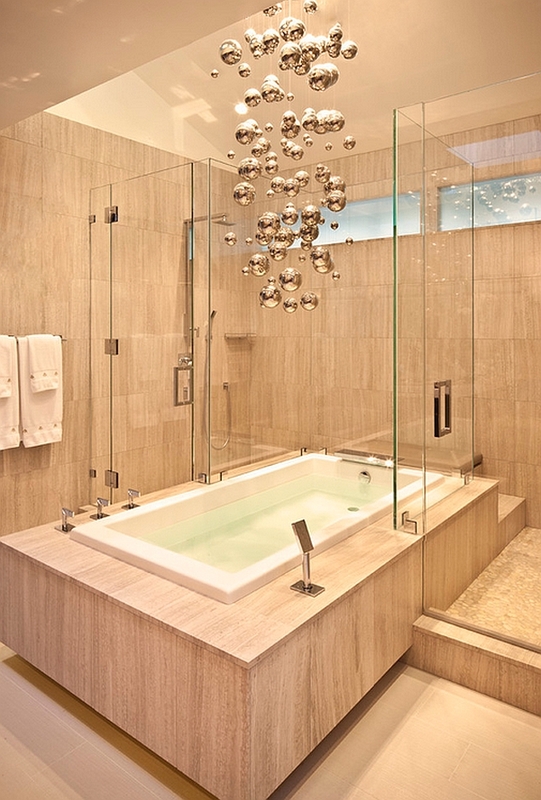 A staggered chandelier above the trendy coffee table in the living room or a crystal-studded beauty in the spa-like master bathroom could be that final missing piece in the picture-perfect look that you have been craving for since years! 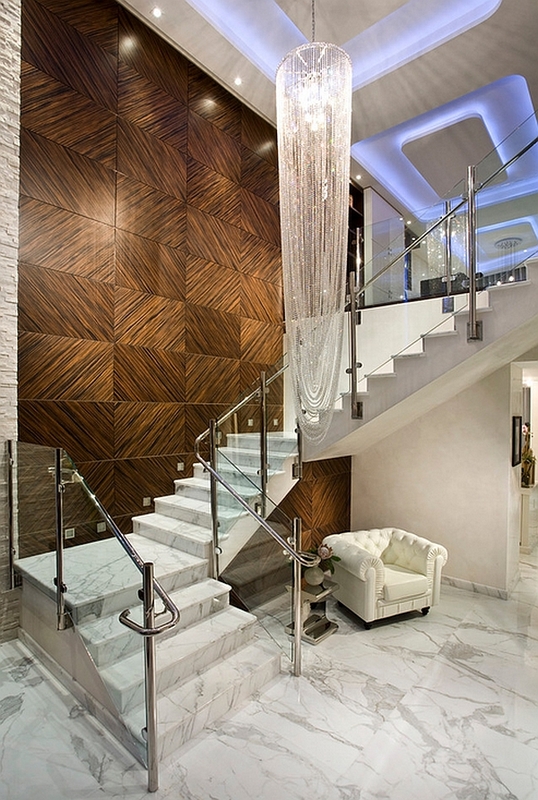 Use the chandelier as an opportunity to introduce a new geometric shape without going for a serious renovation. 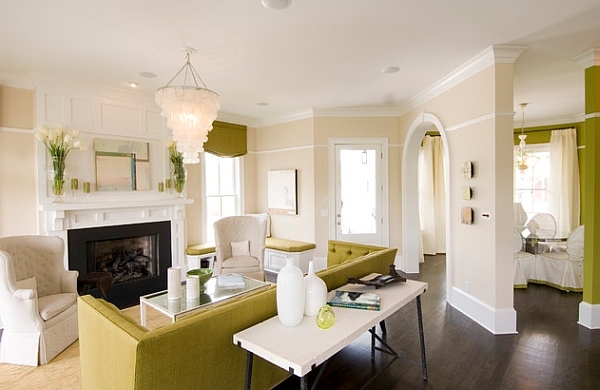 A living room that exudes comfort and class! 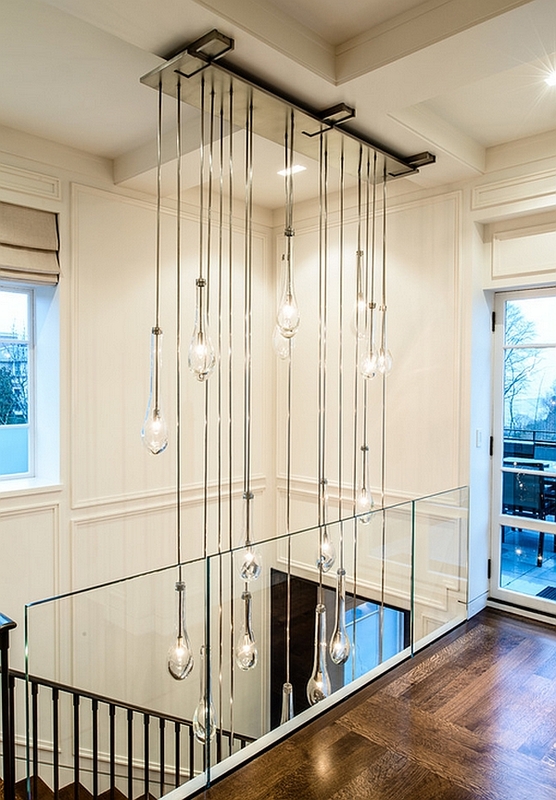 Beyond a shadow of a doubt, cascading chandeliers are definitely not for those who prefer a quiet and understated look. 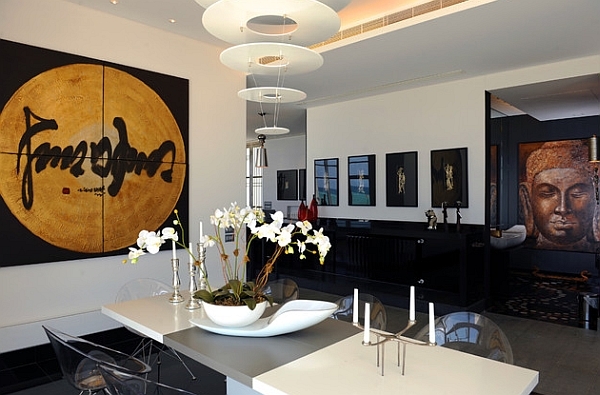 They are all about painting a bold and mesmerizing picture that will leave your guests enthralled. Gift yourselves one of these stunning pieces this season and you will start to view the world around you in a whole new light!